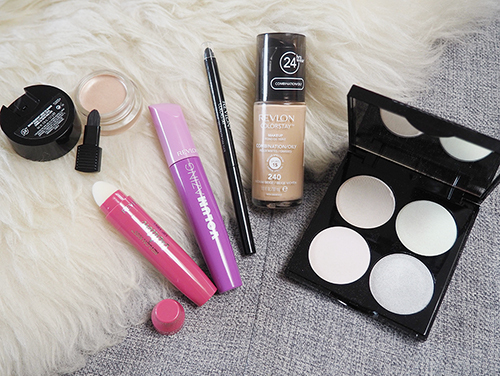 The kind folks at Revlon sent over some new products for me to play with a while back and the combination really makes for the perfect fuss-free everyday makeup. Not only that but a lot are from the ColorStay collection which is super long-wearing. There's nothing easier than a creme eye shadow if you want to put something on fast and the ColorStay Crème Eye Shadow in Creme Brulee is the type of shade you can wear with pretty much everything. It's a shimmering champagne that on my slightly tan skin tone gives just the slightest hint of colour. Since it's budge-proof, it could also double as a base for powder shadows if you feel so inclined. The packaging comes with a little brush in the lid although I personally prefer to apply creme eye shadows with my fingers. 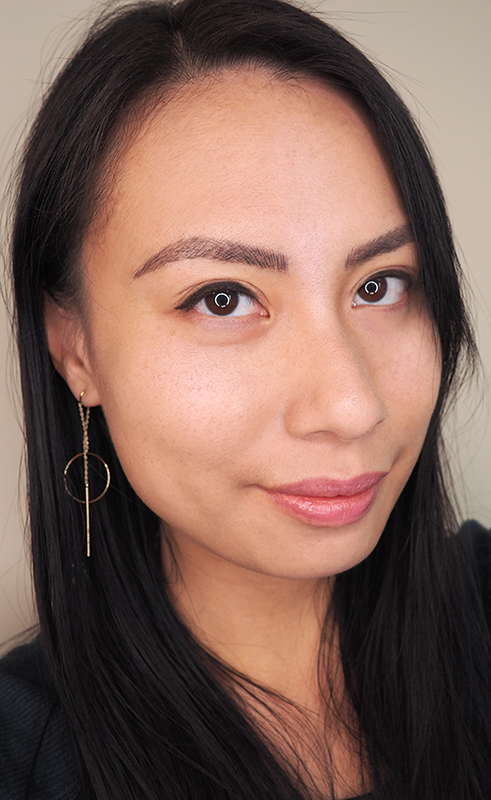 I finished my eyes with the ColorStay Eyeliner in Black (not my fave -- I find the texture really hard and the colour doesn't go on smooth at all) and Volumazing Mascara in Blackened Brown (this is an average mascara but I didn't think it was particularly volumizing on my straight, sparse lashes). On my face, I'm wearing the ColorStay Makeup for Combination/Oily Skin in Medium Beige. Love that there's a formulation for my skin type! The foundation isn't cakey although it doesn't stay perfectly matte on me, especially on the t-zone (always my problem area). Likely due to the SPF 15, there's also unfortunately a bit of flashback. I took my FOTD photo with my ring light and I swear it makes the foundation look a lot lighter than it does in person, so that's something to consider if you're wearing this one out at night. To create a bit of dimension, I used the Galaxy Dream Holographic Highlighting Palette which I have previously reviewed. My favourite product of the bunch is what I'm wearing on my lips: the Revlon Kiss Cushion Lip Tint in Pink IRL. It's soooo nice! I originally thought it was going to be like a Lancome Juicy Shaker but those are a lot more sheer and glossy. This product has a sort of creamy formulation that feels hydrating on the lips and the colour payoff is great. This particular shade is a perfect everyday lip colour. I also love the sponge tip applicator and that fact that it smells like vanilla - yum!